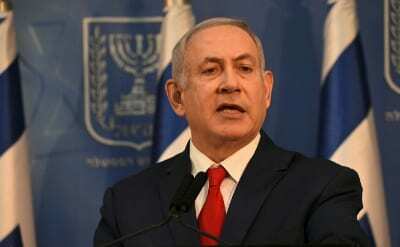 Prime Minister Binyamin Netanyahu announced that he has demanded, and continues to demand, to be allowed to face the state’s witnesses who have testified against him in the three corruption cases in which he is implicated. Netanyahu made the announcement during a live televised prime-time broadcast on Monday night, after his staff said he would be making a “dramatic” statement. Netanyahu said that during his investigations, he has demanded a face-to-face confrontation with the state’s witnesses, but was refused again and again. “Today, I repeat that demand, and as far as I am concerned, it should be on live television,” he continued. Shortly after Netanyahu’s speech, the Justice Ministry released a statement defending the manner in which the investigations into the Prime Minister’s cases have been carried out, insisting they were “thorough and professional,” also adding that it is “inappropriate” for law enforcement authorities to comment on the workings of the investigation in the media. The normal court processes should occur not what the PM of Israel wants. He sounds deluded or punch drunk with his current power which he has held for a long time.